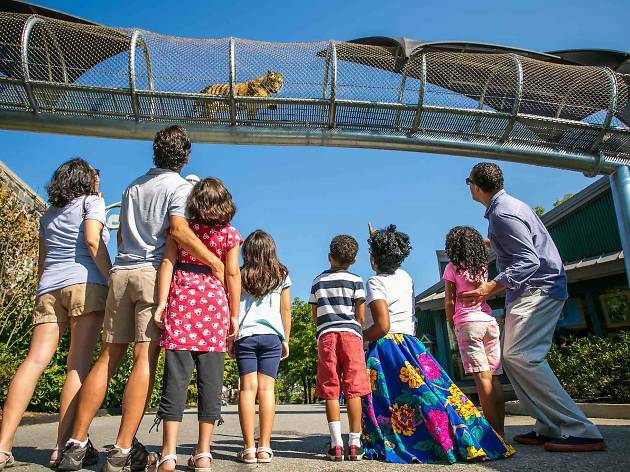 Whatever your views are on animals in captivity, the Philadelphia Zoo’s Zoo360 project is giving its inhabitants more room to roam and choice locations to observe visitors. Pay attention, there may be a Sumatran orangutan checking you out from overhead. Though it’s the oldest zoo in the nation—opened in 1874—it is a leader in this innovative system to get those animals up high. 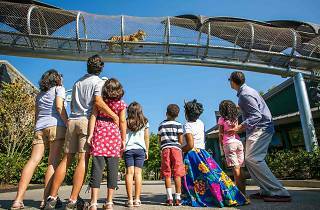 Begun in 2011, the zoo-wide project of animal exploration is built on a series of mesh wire trails about 20 feet above ground. These trails have expanded to include special paths and mazes including the Big Cat Crossing, the Treetop Trail for monkeys and lemurs, Great Ape Trail for bigger primates, Meerkat Maze, and the Gorilla Treeway running 300 feet. If you want to get high, too, take the 10-minute ZooBalloon ride over the Schuylkill River. The hot air balloon goes up 400 feet and offers stunning views of surrounding Fairmount Park.